Interactivity is what user wants in every application. 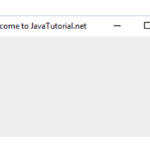 To add interactivity in a program, Java provides us a very easy way. 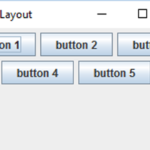 Javax.swing.JButton calss provides us a way to add buttons and events happens after button click. 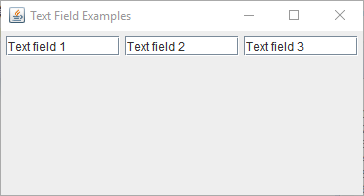 Similarly with the help of javax.swing.JTextfield allow us to add text fields to JFrame. JTextField(string text): Constructs a text field with the specified text. JTextField(string text, int column): It creats a new text field with the specified text and number of columns. 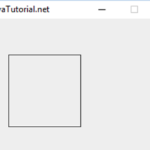 Following program shows example of adding text fields to JFrame. You can customize by using different mehods provided by the JTextfield. JTextField.setHorizontalAlignment(int alignment); It sets the horizontal alignment of the text. JTextFieldsetScrollOffset(int scrolloffset); It sets the scroll offset in pixels. JButton(); creates a button with no text and no icon. JButton(String text): creates a button with specified text. JButton(Icon icon); creates a button with specified icon. JButton(String text, Icon icon); creates a button with specified text and icon. Here is a simple example of JButton with image icon. Here is the link of complete code, you can download. Java Core action listeners, buttons, interactivity, java, JFrame, Swing, text fields. permalink.